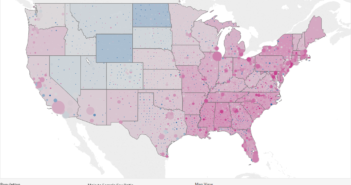 Utah has the largest families in the US with 3.65 people per family. Hawaii and California are a close second and third with 3.61 and 3.56 people per family respectively. Vermont has the smallest families with only 2.84 people per family. 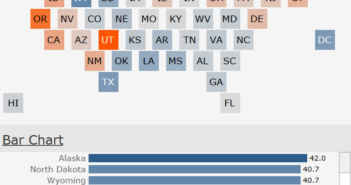 The graphic below shows the average family size for every state US. Note to Mobile Data Users: If you are having issues with the visualization you can view this static image of it. The data for this visualization comes from the American Community Survey which is conducted by the US Census Bureau. The data was downloaded from American Fact Finder. It is found under Table DP02, of the 2014 1 Year Estimates. After the data was acquired, it was cleaned in excel. 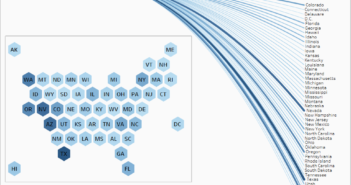 The visualization was then created in Tableau.